Today hats are not as common as they used to be. There was a time when women would dress up for church on Sundays with a fancy cloche or pillbox, but today, they come out on rare occasions. And the ones for everyday wear tend to be toques, caps or casual styles like the floppy hat. Men used to wear fedoras as a matter of course. Watch a street scene from an old movie and you’ll see more businessmen in their long coats and fedoras than men without hats. Today hats are so rare they even have a band named Men Without Hats! Most of the hats you do see men wearing these days are baseball caps, toques and the ever-popular poor boy. 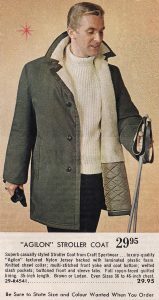 The Eaton’s Spring and Summer Catalogue for 1962, however, featured six pages of women’s headgear and another two for men. And the ladies’ hats were pretty fancy. As can be seen in the picture at left, flowers and other adornments were popular. The one at the bottom has sort of a beret style to it. The one at the right is nothing but flowers. 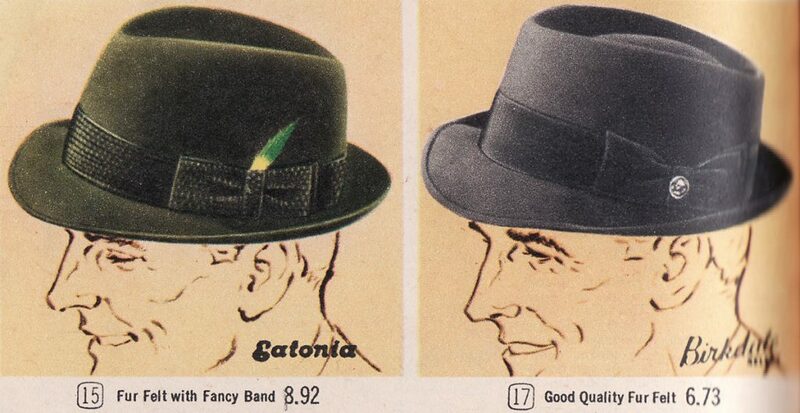 Surprisingly, the Eaton’s Spring and Summer Catalogue of 1962 did not feature these or any other ladies’ hats in colour. The price for these ranged from $4.97 to $7.94. In today’s dollar they would range from $40.52 to $65.23. Not as cheap as it might seem when you take inflation into account. Today women don’t go for fancy hats so much. The most common hat for women at the Sears website is the toque. There are the occasional beret and a few wide brimmed hats like the floppy one at the right. It retails for $19.94 (on sale). Prices for women’s hats at Sears varied from $2.94 for a knitted hat (on sale from $19.99) for $24.97 for a helmet style. 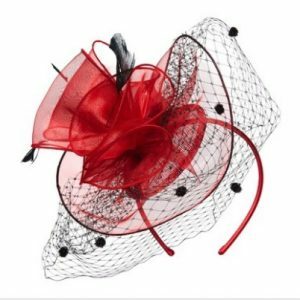 But another type of headgear did become popular in recent years because it was often worn by Princess Kate – the fascinator. Nordstrom has several, including the one shown here, all priced at $54.82. 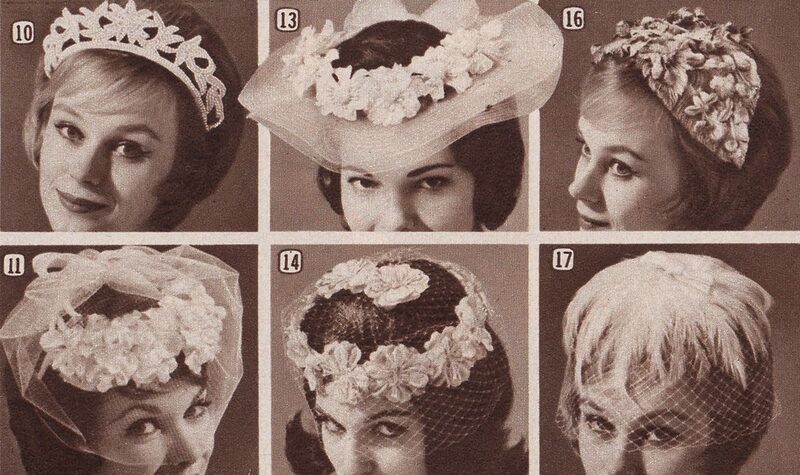 The pictures at the top of this article are the closest thing to modern fascinators in the 1962 Eaton’s Catalogue. They are from a page of bridal accessories. They ranged from $2.49 to $4.97. Eaton’s of 1962 also had hats for girls styled very much like the hats available for mom. Men’s hats, on the other hand, have barely changed over the years. the hats below are typical – fedoras and Tyrollian styles. The ones shown went for $6.73 and $8.92 or $54.92 and $72.79 in today’s dollar. Similar hats at The Bay today sell for $40 to $149.59 but they are in linen, polyester or straw. Sears has one in felt at $24.99. Nordstrom has felt fedoras from $54.0 and up. Nordstrom, of course, is a bit upscale from The Bay or Sears. Heck, they even have a Givenchy baseball cap for $808.17! Seriously! And of course, the baseball cap and the poor boy have always been popular. Cheap at prices from 99 cents to $1.99 or $8.07 to $16.24 in today’s prices. You’d be hard pressed to find a baseball cap that cheap nowadays. The complete ladies hat collection from the Spring and Summer Catalogue can be found on page 72 – 77 with men’s hats featured on pages 202 and 203. Winter means winter sports and the 1962 Eaton’s Christmas Catalogue has seven pages of fun stuff for the sports enthusiast. It’s a Canadian store so of course hockey is well represented. You’ll note the team sweaters at the head of this article. Count ’em! Yes! Only six teams that year. The National Hockey League would expand to twelve teams for the 1967-68 season. 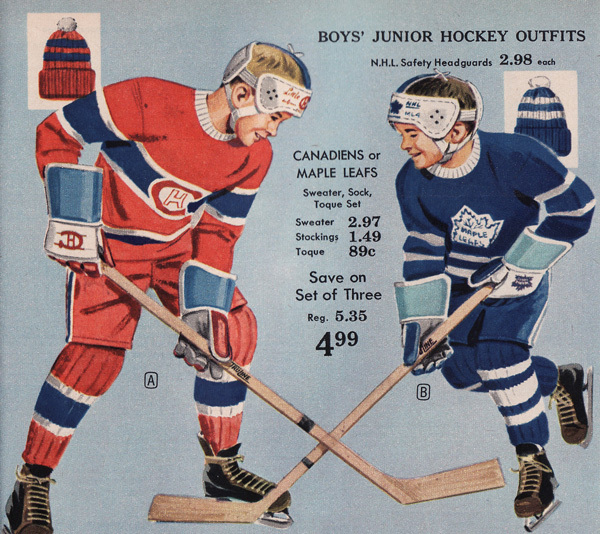 Future super-star Wayne Gretzky was less than a year old when the catalogue came out. The sweaters shown went for $2.97 for boys’ sizes and $3.96 for men’s. In today’s dollar that would be $24.03 and $32.04 respectively. 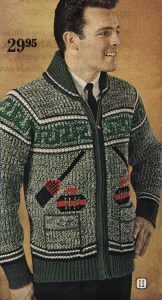 Today sweaters have been replaced by jerseys and are considerably more expensive ranging $44.99 and up at Sears $89.99 and up at The Bay. The Bay actually has a signed Maurice Richard jersey selling for $1999.99. A collector’s item. Like today, sports gear was endorsed by star players. The previous year’s Stanley Cup winners were the Chicago Black Hawks but the five years before that had been dominated by the Montreal Canadiens. Not surprisingly Montreal marquee players were still popular with Canadian fans. 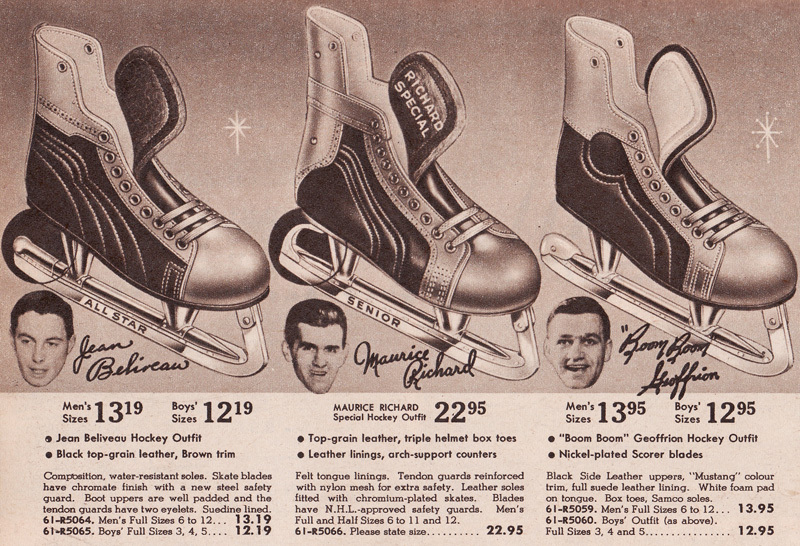 The skates below are endorsed by Jean Beliveau, Maurice Richard and Bernie “Boom Boom” Geoffrion. Prices ranged from $12.19 for boys’ sizes to $22.95 for a top of the line mens’ model. That would be $98.61 and $185.67 in today’s dollar. The big department stores don’t seem to have much in the way of skates and the best best is a specialty shop like SportChek. There you’ll find youths’ Bauer skates for $69.99 with price for mens’ skates ranging up to $999.99. But there are many quality mens’ skates under $185.67. Another set of skates carried Frank Mahovlich’s name. Mahovlich was the top scorer for the Toronto Maple Leafs in 60-61 setting a team record that would stand for 21 years. Toronto would beat the Hawks for the cup in the 61-62 season. Montreal and Toronto were the only Canadian teams in the NHL in the six team era. A complete outfit – sweater, toque and socks went for $4.99 or $40.37 in today’s dollar. 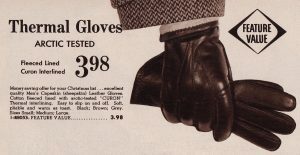 Shoulder pads, shin guards, gloves and hockey pants were extra, with the priciest item being gloves at $5.98 or $48.38. Hockey gloves start at $29.99 for generic gloves at SportChek. They can go as high as $239.99. 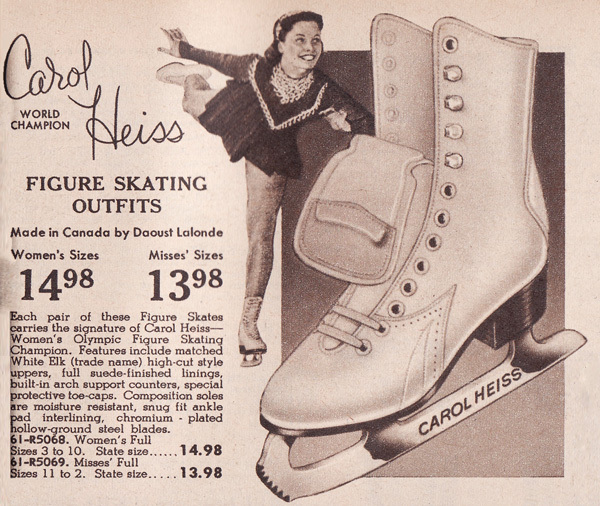 Women’s figure skates were also celebrity endorsed. The ones above carried the Carol Heiss name. She was the ladies singes champion at the 1960 Winter Olympics held at Squaw Valley, California. 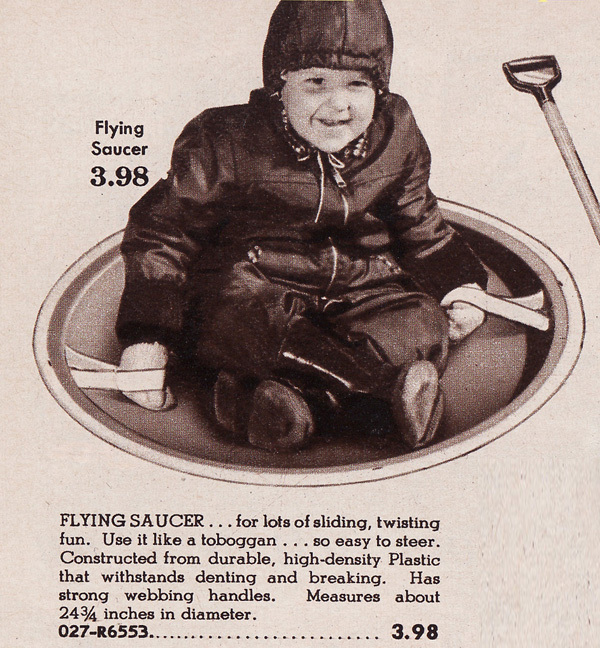 The adult size at $14.98 would be $121.19 in today’s dollar. Figure skates at SportChek range from $39.99 for tots to $89.99 and up for adults. Most expensive pair is $199.99. 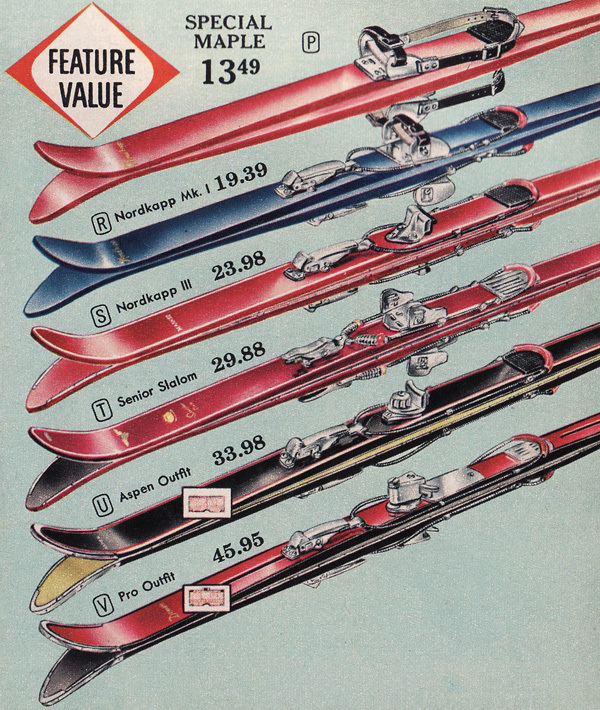 Skiing was as popular in 1962 as now and Eaton’s carried a range of skis from $13.49 to $45.95. That’s $109.13 and $371.74 in today’s dollar. Skis today are a much higher quality – especially as bindings go. Coiled springs and leather straps have given way to high tech bindings. SportChek has 56 different skis on sale ranging from $160.98 for a junior pair to $1399.98 for a top end ski. Bindings are sold separately. Toboggans were also popular as shown above and of course, the ever popular flying saucer was also a hit. $3.98 or $32.20 in today’s dollar. Saucers are not as popular today but SportChek has one for $9.99. The items shown in today’s post and more can be found on pages 192, 193, 194, 195, 196, 197 and 202. 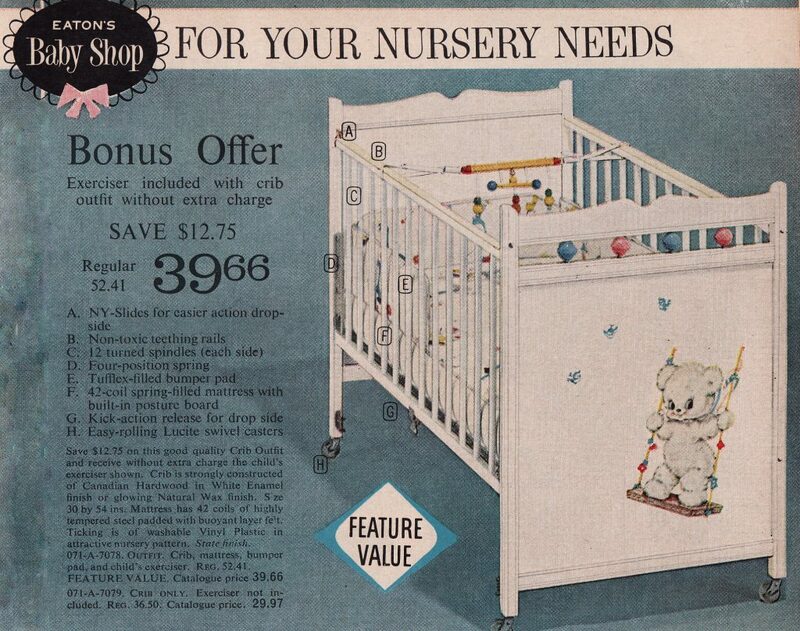 There are 32 pages of Christmas toys in the 1962 Eaton’s Christmas Catalogue. Today we look at some of them. We’ll cover some more in a follow-up post. 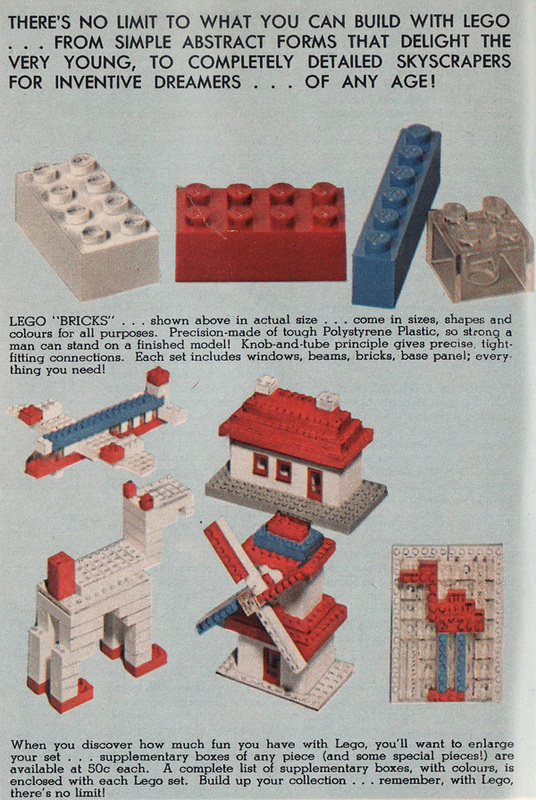 Building sets, whether interlocking blocks or logs, or metal pieces that could be connected using tiny nuts and bolts were as popular then as they are now. 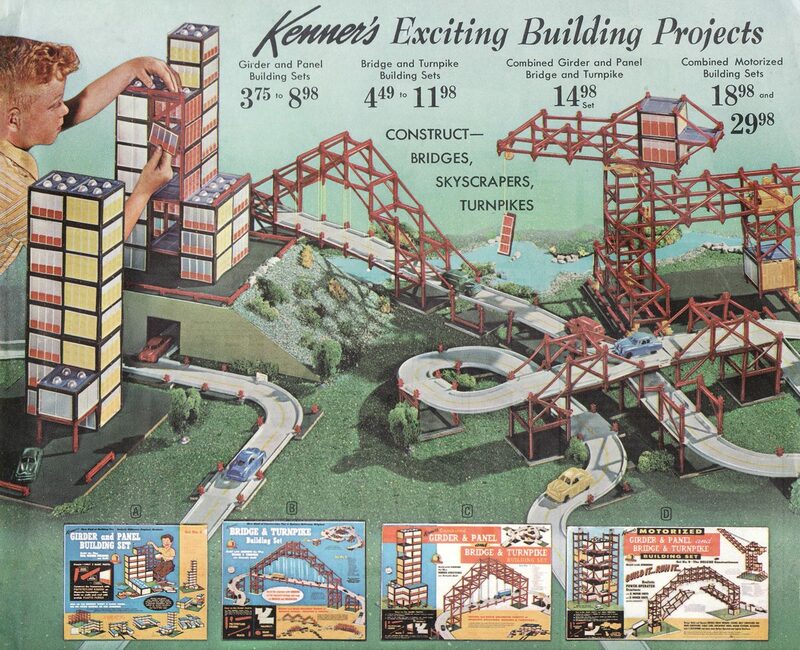 The Kenner building sets shown at the top of this page featured girders that interlocked to build bridges and buildings. They ranged from $3.75 to $29.98. That would be between $30.45 to $243.44 in today’s dollar. Kenner traded hands a few times finally ending up owned by Hasbro Toys. Hasbro shut it down in 2000. Bridge Street Toys of Boston resurrected girder and panel building sets in 2005 but they closed in mid-2106. 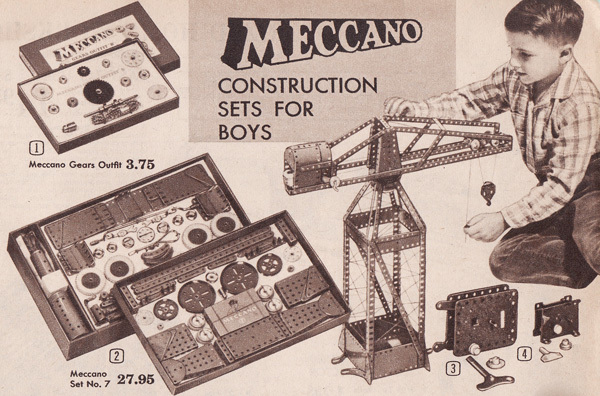 The Meccano sets above started at $2.50 and went up to $43.95. That would be a range of $20.30 to $386.57 in today’s dollar. 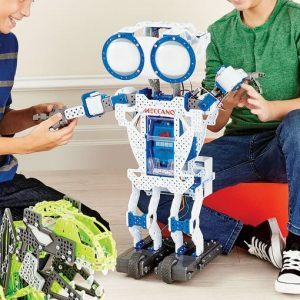 Meccano sets are still sold today but are of specific items rather than general construction sets. 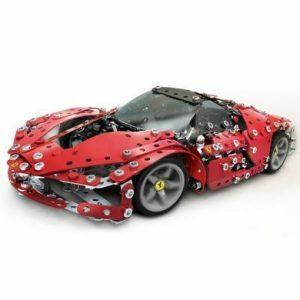 A Meccano Ferrari Spider goes for $39.95 and a Meccanoid 2.0 goes for $161.49 at Sears. 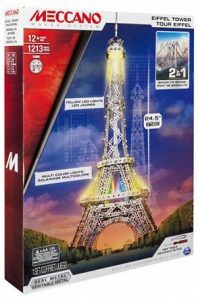 The Bay has Meccano kits ranging from$29.99 to $399.99 including a very cool kit that let’s you make the Eiffel Tower or the Brooklyn Bridge. Just $119.99. 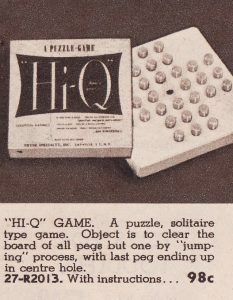 And a new construction toy made its Canadian debut in 1962. A toy that was developed in Denmark, eventually sweeping Europe and then the world. In February 2015, Brand Finance named it the “world’s most powerful brand”. That toy is Lego. My brother and I were among the first North American children to play with Lego bricks as our Dutch grandparents sent us kits for Christmas for several years running before it became available here in Canada. 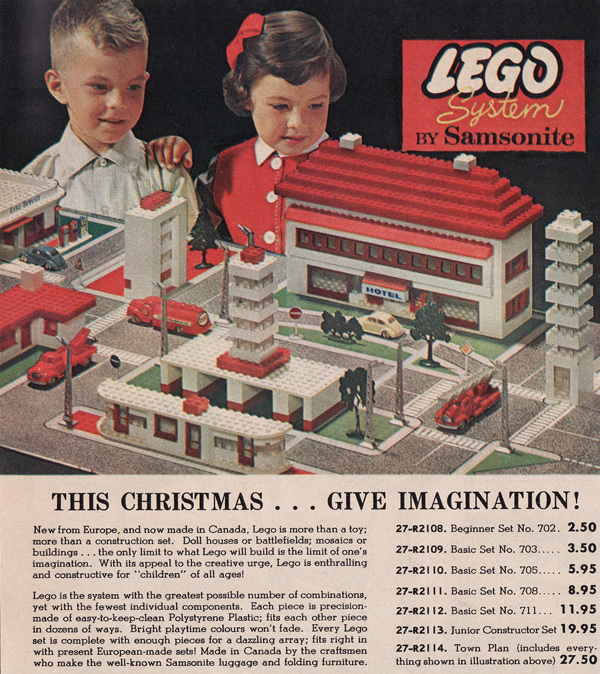 As the blurb in the 1962 Eaton’s Christmas catalogue notes: “New from Europe, and now made in Canada, Lego is more than a toy; more than a construction set.” The only limit to what you can do with it is your imagination. These early kits were licensed by and made by the Samsonite luggage people. The product was so new that the catalogue had a panel explaining it. 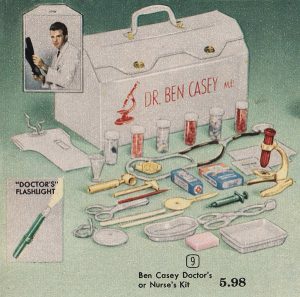 The prices for the seven kits available in 1962 ranged from $2.50 to $27.50 or $20.30 to $223.30 in today’s dollar. Now the Bay has over 200 different Lego kits ranging from starter kits on sale for $9.74 to $179.99. Many are themed, tied in with popular cultural icons like Star Wars or Marvel or DC comic book legends. Toy mega-store Toys ‘r’ Us has 495 different kits ranging from $3.99 to $399.99 for a Ghostbusters fire house. Let’s move on to girl’s toys. 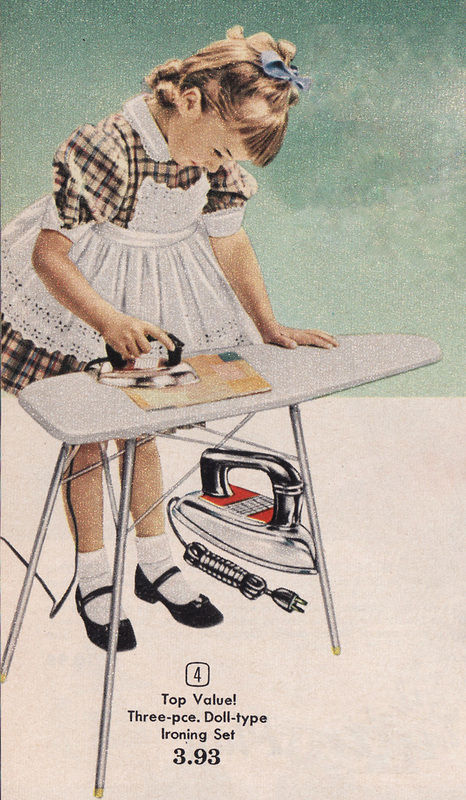 Not surprisingly, in 1962 toys for girls focused on dolls and domestic play toys like toy kitchens or a toy iron and ironing board. 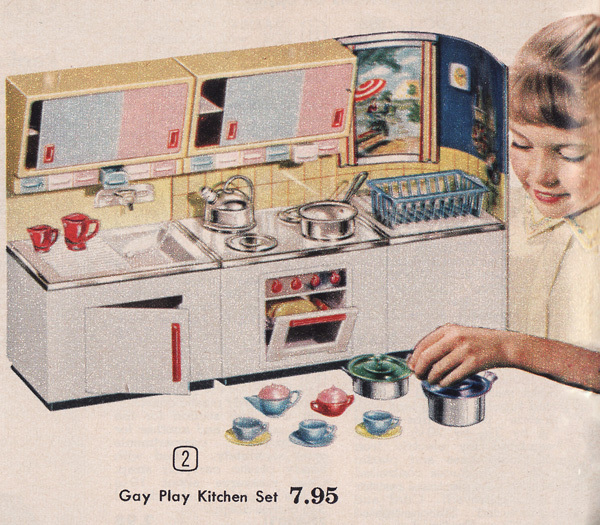 The “gay play kitchen set” shown above retailed for $7.95 or $64.55 in today’s dollar. Toy kitchens are still popular and much more elaborate ranging up to $179.99 at Sears. One similar to the set shown above can be had at The Bay for $37.99. And while the still popular Barbie doll was introduced in 1959, the 1962 Eaton’s Christmas catalogue only had couple of accessories. Cases at $2.98 each or $24.20 in today’s dollar. 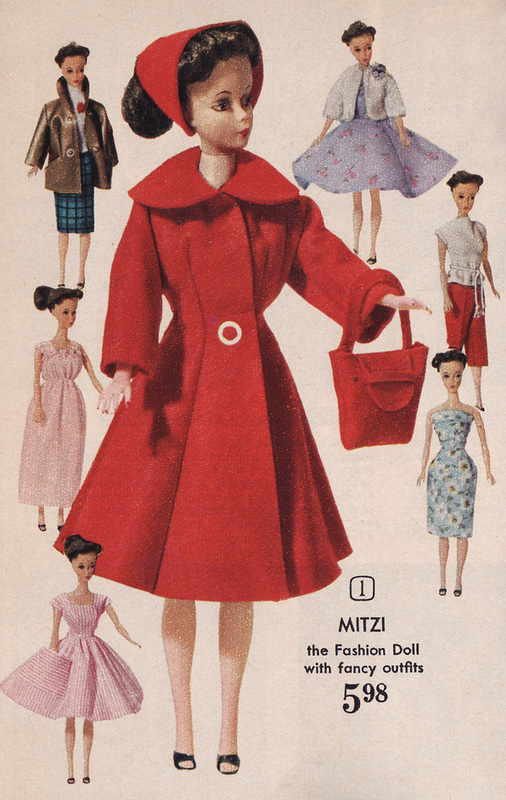 But the catalogue did have a fashion doll – Mitzi which sold for $5.98 or $48.56 in today’s dollar. By contrast, Barbie dolls today range in price from $9.74 (on sale) to $39.99 today at Sears. The Bay has a very elegant Oscar de la Renta Barbie doll for $274.99. And Toys ‘r’ Us has 149 different Barbie products with dolls starting at $7.99 and ranging up to $59.99. Many accessories as well. One perennial Eaton’s favorite was always the Eaton Beauty Doll. This was custom made for the Eaton’s company and came out every year around Christmas. The Eaton Beauty Doll was introduced for the first time in 1900 in various sizes. 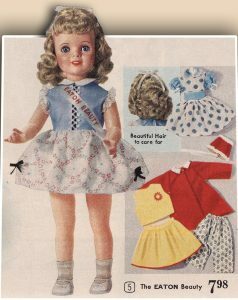 At first they were just common dolls for playtime branded as the Eaton Beauty Doll. They sold for $1 to $10 depending on size. The basic $1 doll stood 20 inches tall. Eaton’s maintained that price until 1916. The 1962 model sold for $7.98. That would be $64.80 in today’s dollar. In 1991 the dolls started coming with a certificate of authenticity. By 1994 they became certified limited edition collectibles and the price was up to $250. My wife was a doll collector in the 1990s and when Eaton’s went bankrupt in 1999, they had a huge clearance sale on all their stock. 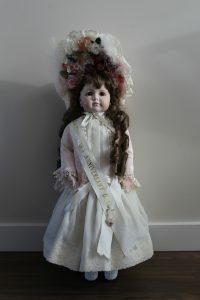 One of those clearance items was Emilie, the 125th Anniversary Eaton Beauty Doll, a 20 inch tall model like the original with bisque head and articulated limbs. It was from a limited edition of 125 dolls designed by doll maker Vi Pierce. The bankruptcy sale had drastically reduced the price and I snapped one up as Christmas gift. This is the Eaton Beauty Doll released for the 125th anniversary of the store. 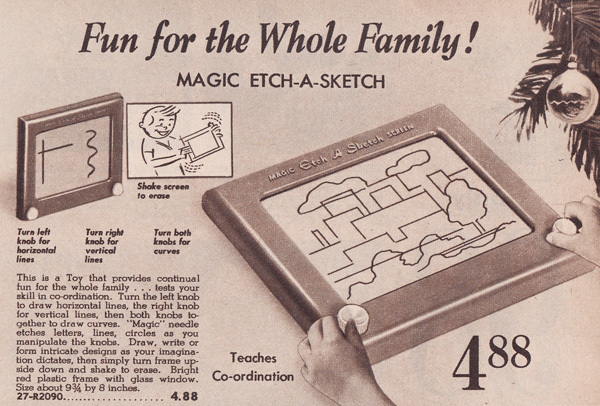 One perennial favorite with kids in the 60s was the Etch A Sketch. It was inducted into the National Toy Hall of Fame in 1998 and was featured in each of the Toy Story movies. In 1962 it sold for $4.88 or $39.63 in today’s dollar. And today you can pick one up at Toys ‘r’ Us for $19.99. Or a pocket edition for only $9.99. 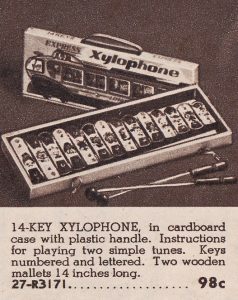 We conclude with a couple of examples from a two page spread of toys for 98 cents each in the catalogue. That would be $7.96 in today’s dollar. These toys and the ones in the additional pictures below can be found on pages 204, 206, 208, 210, 213, 214, 215, 228, 233, 235 and 236. You might guess from the title that I am in Australia right now. Barbecues are very popular here, no doubt due to being able to barbecue year round. 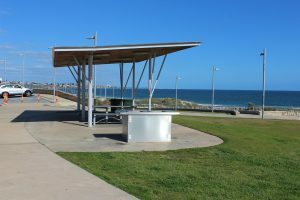 It’s such a big thing out here that every park in the greater Perth area seems to have public barbecues available for use. We’ve had family dinners at the local park using the public barbecue to cook up the grub. Public barbecue at Sorrento Beach near Perth, Australia. All major parks seem to have one or more of them. The barbecues are run on propane and have flat cooking surfaces. Users are expected to clean up after themselves. But I digress. 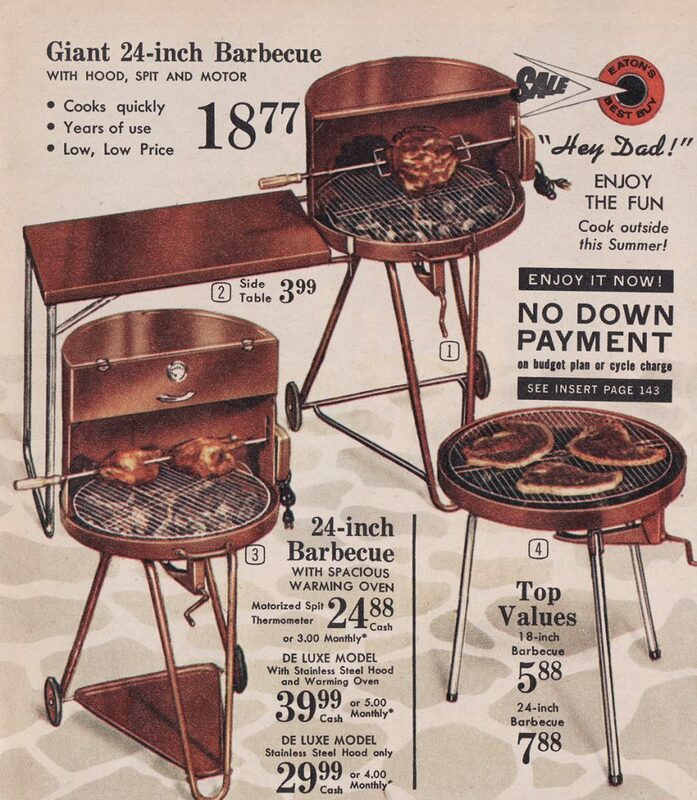 Back in 1962, Eaton’s had a limited number of barbecues in their Summer Sale Catalogue. They were pretty basic compared to some of the barbecues available today. At $18.77 for a basic unit and $24.88 for one with a warming oven, these would cost you $152.41 and $202.03 respectively. You could get them with stainless steel hoods as well. 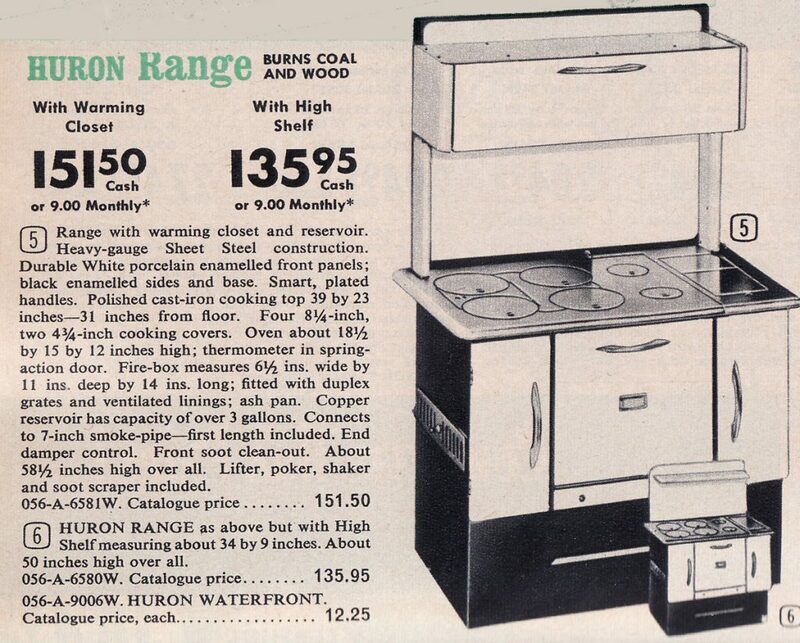 The deluxe model with warming oven in stainless steel went for $39.99 or $324.72 in today’s dollar. The barbecue has made considerable progress since then. For one, you can get much larger models. 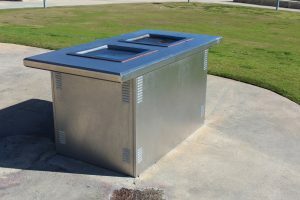 Ours has a large cooking surface as well as a stove top on the side for cooking vegetables or whatever. And they aren’t limited to charcoal fuel. 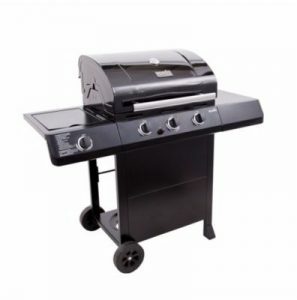 Sears Canada and The Bay both carry barbecues, though you can also get them at Home Depot Canada, Canadian Tire and other outlets. 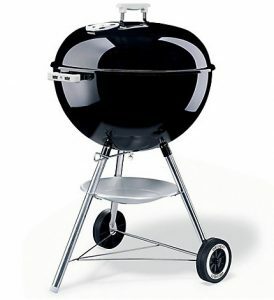 Sears has 38 propane gas grills, 18 natural gas grills, 4 electric grills and 4 charcoal grills. The charcoal grills run from a basic Kettleman model at $229.99 to a deluxe Broil King model for $999.97. This Char-Broil brand 3 burner grill with a side burner is much like the one we own though ours is a different brand and in stainless steel and cost a bit more. Propane grills run from $219.99 for a portable model to $2699.97 for a top of the line model with six burners and an oven. Crikey! That’s more than most regular stoves! 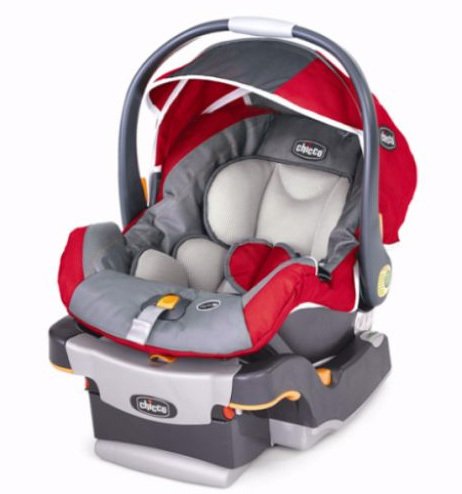 But they do have a model much like the one we own for $224.95 (seasonal clearance price). Less than the deluxe model of 1962 and you get so much more. The Bay has barbecues running from $279.99 to $2749.99. A Weber grill much like the one our daughter and her fiancé have. But the place for bargain prices is Home Depot. There you can find barbecues as low as $39.99 for a 14 inch table top charcoal barbecue. One much like the Eaton’s model of 1962 can be had for $109.00 for an 18 inch surface and $149.00 for a 22.5 inch surface. 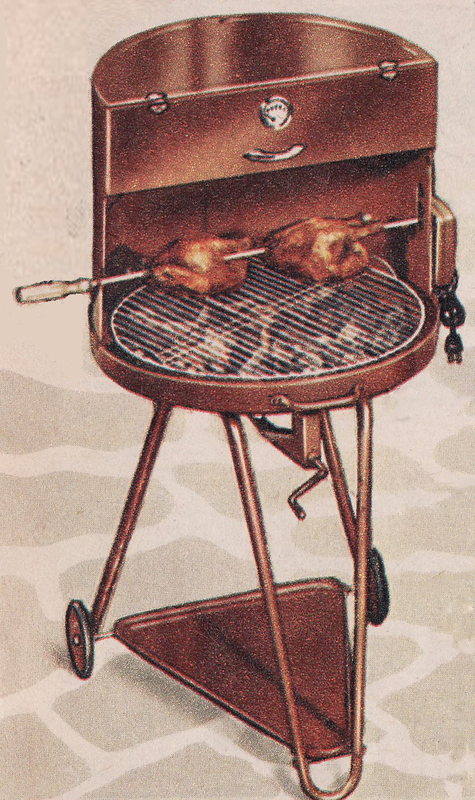 Both are from Weber, considered by many to be the best brand in barbecues today. Our daughter’s fiancé has one and uses it all the time. He swears by charcoal and is not keen on propane barbecues. Propane barbecues at Home Depot run from $48.98 to $3199.00. Other items from 1962 include the basic hibachi at $7.88 or $63.99 in today’s dollar. Don’t know if they sell them any more, although I had one about thirty or forty years ago. I couldn’t find one for sale anywhere. We certainly have come a long way with barbecues. The simple models of 1962 are still more or less available, but today there is so much more variety to what you can find. 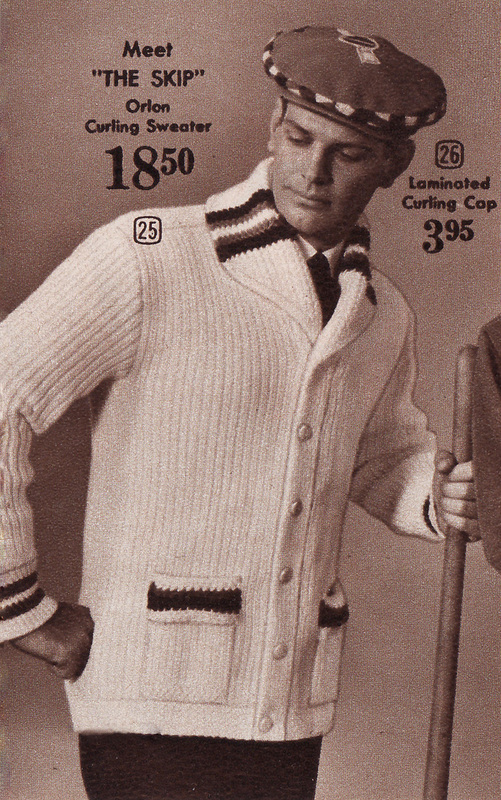 The items in today’s post can be found on pages 166 and 167 of the 1962 Eaton’s Summer Sale Catalogue. Now excuse me while I go and throw some shrimp on the barbie, mate! 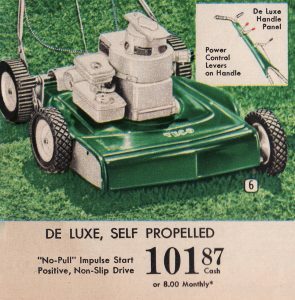 The front cover of the Eaton’s Summer Sale Catalogue for 1962 features a lawn mower on the front cover (shown above). It’s your standard push gas mower and was selling for the seemingly cheap price of $62.99 back then. Only $6 a month on the installment plan! But in today’s dollars, that would be $511.48. 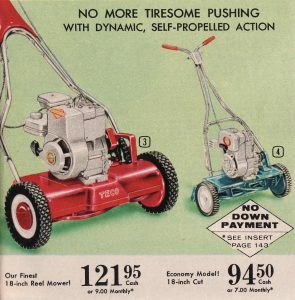 A similar mower today at Sears would set you back anywhere from $199.95 to $499.99, both by Yard Machines. Technologically, rotary mowers haven’t changed much. A rotating blade under the housing powered by a gasoline engine on top. Some of the top models today have electric start. And most of today’s models have a grass catcher bag as a standard accessory. Back then there were some models with a drive system. Self-propelled. The model at left went for $101.87 which is $827.18 in today’s dollar. The cheapest at Sears today is their Craftsman house brand at $399.95. The most expensive, also from Craftsman, goes for $549.99. 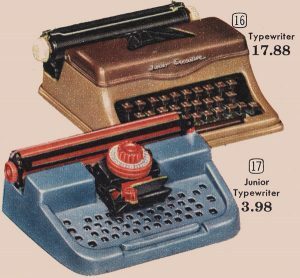 The 1962 catalogue also featured self-propelled reel type models $94.50 for the economy model or $121.95 for the deluxe model. That’s $767.34 and $990.23 respectively in today’s dollar. Sears doesn’t have them nor does Canadian Tire. But I did find an electric one at Home Depot Canada for $599.00. However, push reel mowers have come into vogue again as a way to keep fit. 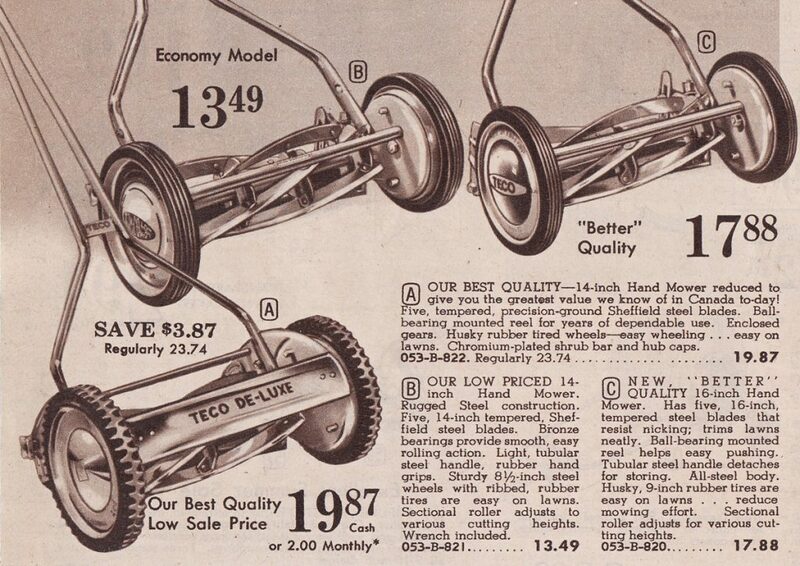 In 1962, push reel mowers went from $13.49 to $19.87 or $109.53 to $161.34 in today’s dollar. They range from $109.99 to $179.99 at Sears today. Push reel mowers have become popular again today, mainly as a way to keep fit. 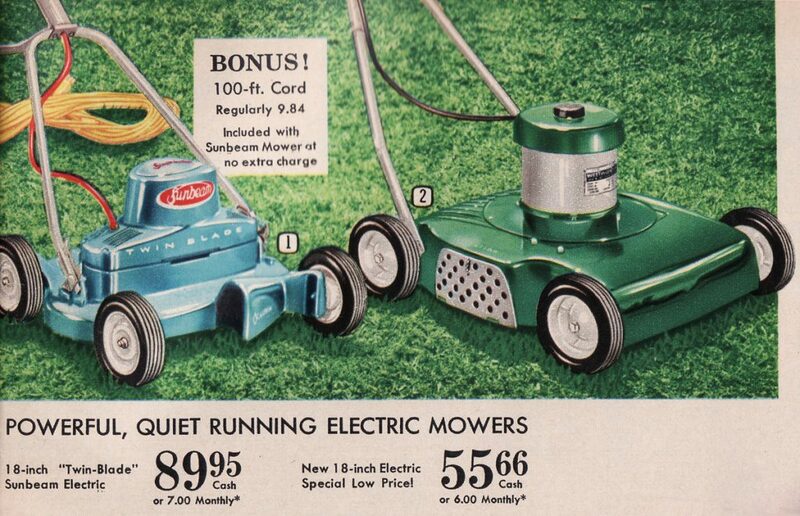 You could also get electric mowers in 1962. At $89.95 and $55.66, the ones shown above would cost $730.39 and $451.96 in today’s dollar. 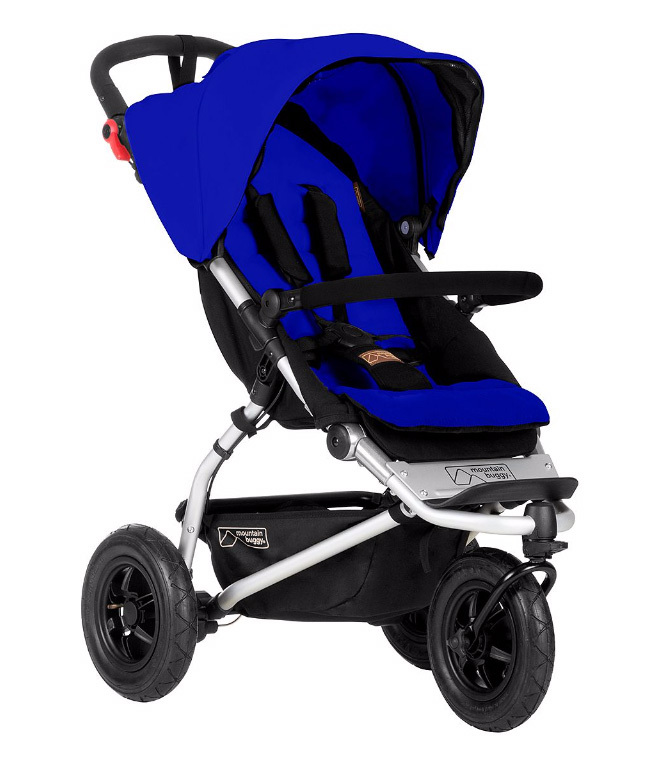 Similar products at Sears today run from $229.99 to $449.99. 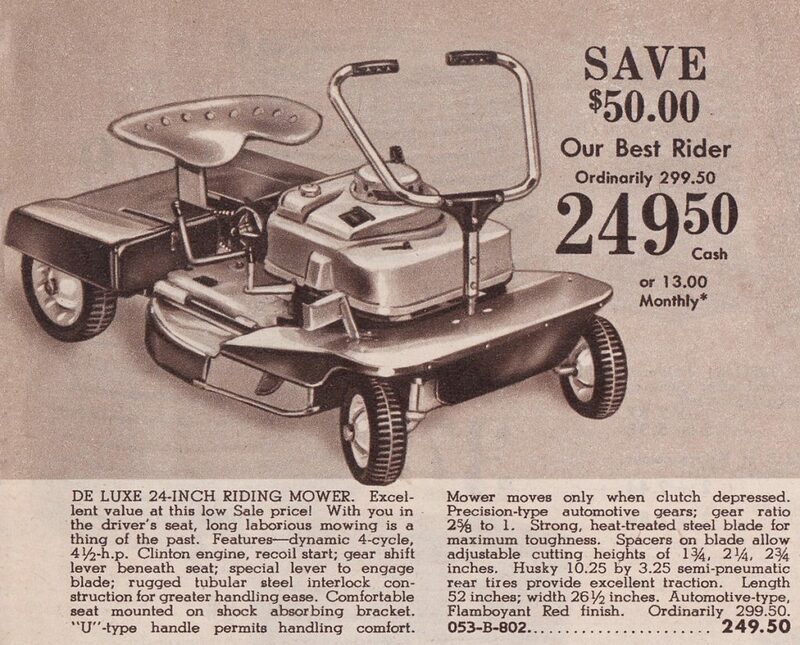 For larger yards, you could get a riding mower back in 1962. But they were pretty simple affairs compared to today’s models. 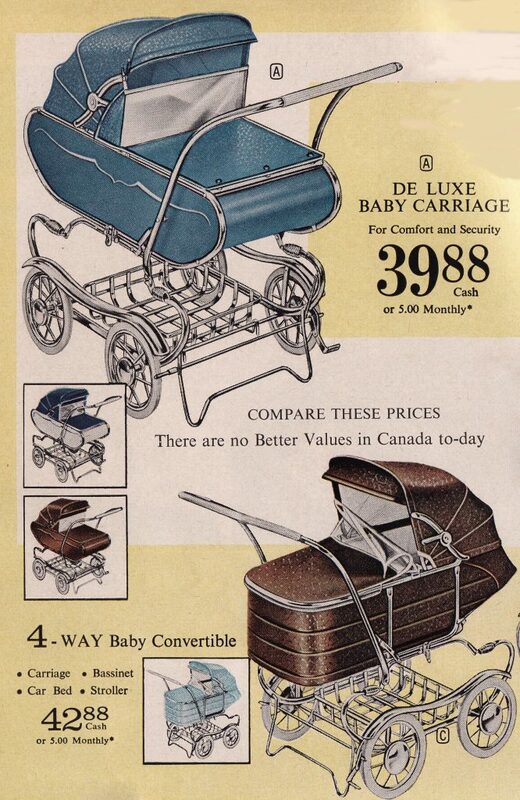 At $169.50 and $249.50 for the deluxe model, they would set you back $1376.34 or $2025.94 in today’s dollar. Sears doesn’t carry them but you can get them from $1299.99 to $2999.99 at Canadian Tire. They range up to $6707.00 at Home Depot Canada. You can get even pricier models at specialty shops. Toro and John Deere are the leading manufacturers of riding mowers today. 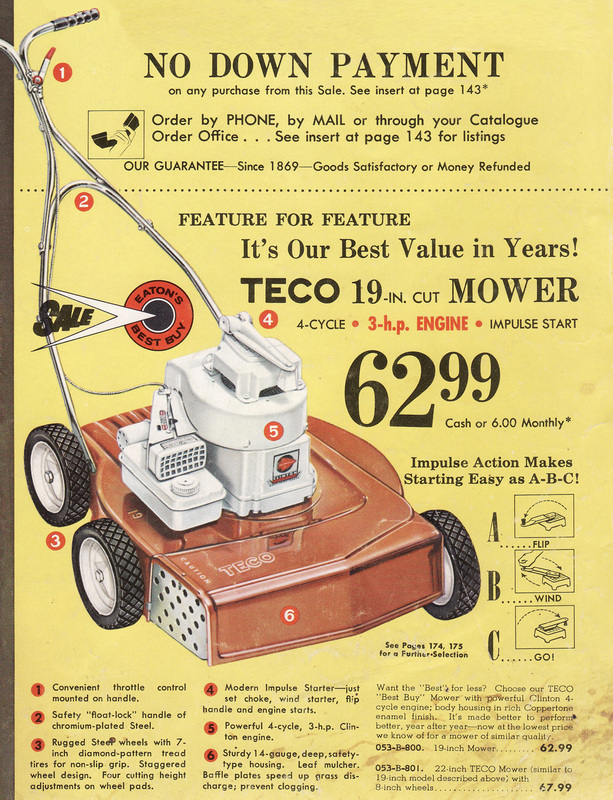 While the technology for basic lawn mowers hasn’t changed much since 1962, there are some things available today that weren’t even invented yet in 1962. Most notable of these, of course, is the weed whacker. You can find the products shown here on the full catalogue pages 174 and 175 as well as the front cover. The Eaton’s Summer Sale Catalogue features dresses and a lawnmower on the front cover. But the next three pages are devoted to women’s swimwear. Today there are many specialty swimwear stores. And styles have changed. Bikinis and thongs are popular with many women today. 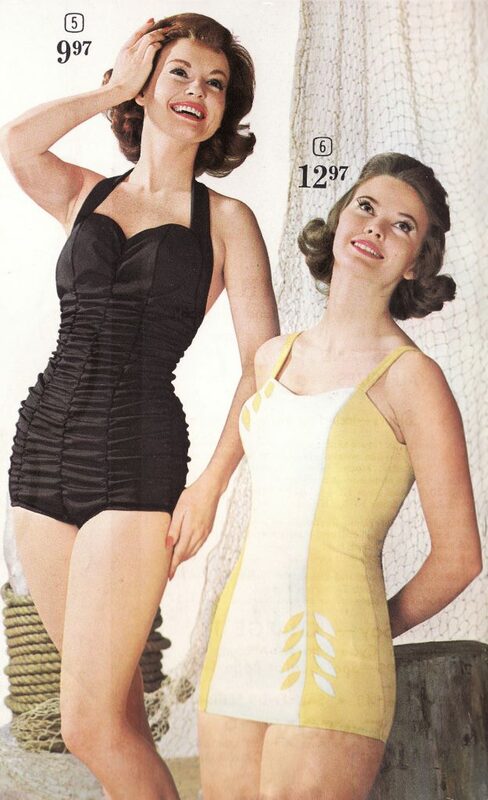 But in 1962, every swimsuit for women and girls was a one piece suit, modest by today’s standards. The bikini, while invented in 1946 in Paris, was roundly condemned by the straight-laced standards of the day. The Vatican “declared the design sinful” according to Wikipedia. It didn’t become popular until the mid-60s when popular movie stars like Raquel Welch and Ursula Andress started wearing them in movies (One Million Years B.C. and Dr. No). Today bikinis and two piece swimsuits are very common. Probably more common than the one piece. The suits heading this page range from $14.97 to $16.97. That would be $121.26 to $137.46 in today’s dollar. The ones shown in the picture below are less expensive. Comparable suits at Sears run from $24.94 to $139.99. At The Bay they run from $19.99 to $180.00. 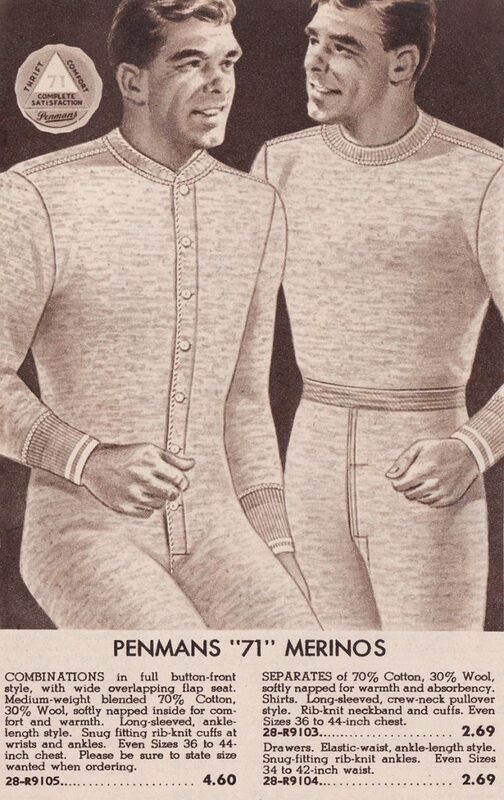 At $9.97 and $12.97 respectively, these suits would cost $80.76 and $105.06 in today’s dollar. 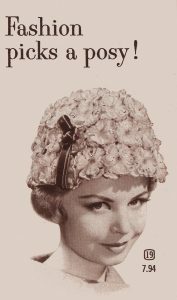 Another swim accessory popular in 1962 and which you will be hard pressed to find today except in streamlined versions for competitive swimmers is the bathing cap. 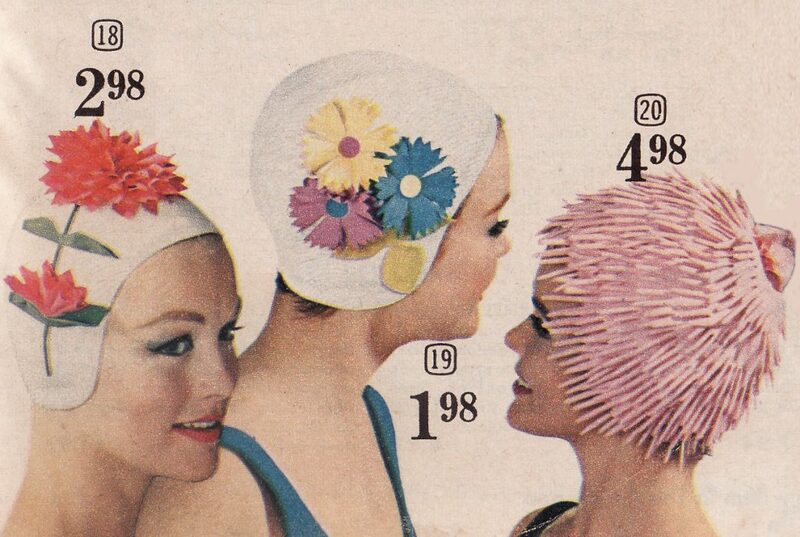 In 1962 you could find all kinds of fancy headgear for swimmers. Aren’t these a delight? Running from $1.98 to $4.98, they would be $16.04 to $40.34 in today’s dollar. Teen and girl’s swimsuits also were one pieces though you will find many two piece and bikini designs for kids today. Prices were generally less than adult ones in 1962. 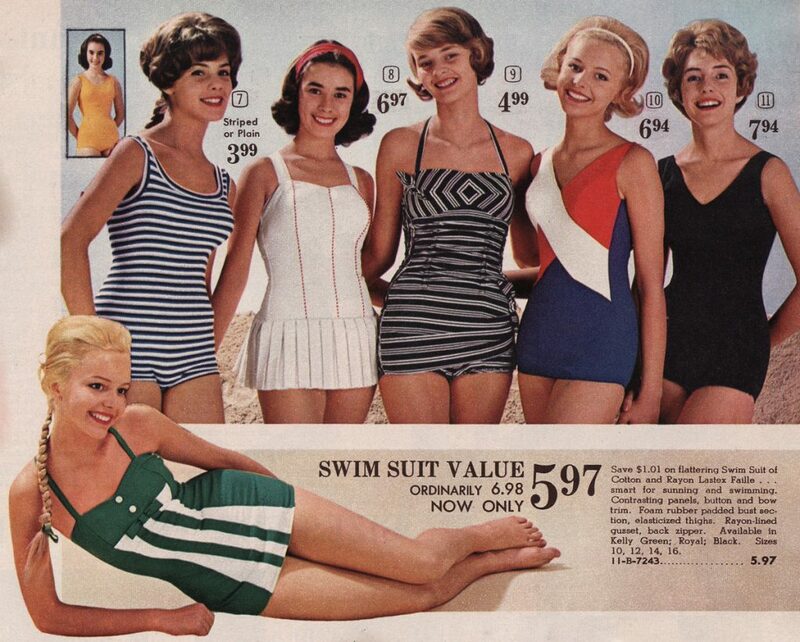 Teen swimwear ranged from $3.99 to $6.97 in 1962. That’s $32.32 to $56.46 in today’s dollar. Swim fashions sure have changed since 1962. 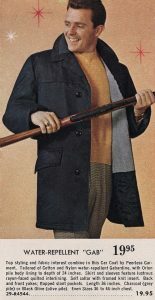 The fashions featured here can be found on pages 2, 3, 4, 45 and 49. 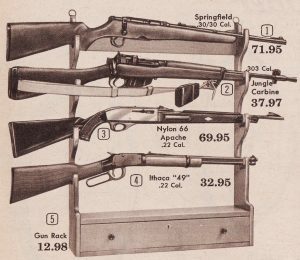 Back in 1962, modern ranges were in basic white. The elements were usually coiled steel burners. And they ranged from $139.95 for a compact 21 inch model to $294.95 for a top of the line 30 inch model. That’s $1133.60 for the small range up to $2389.10 in today’s dollar. 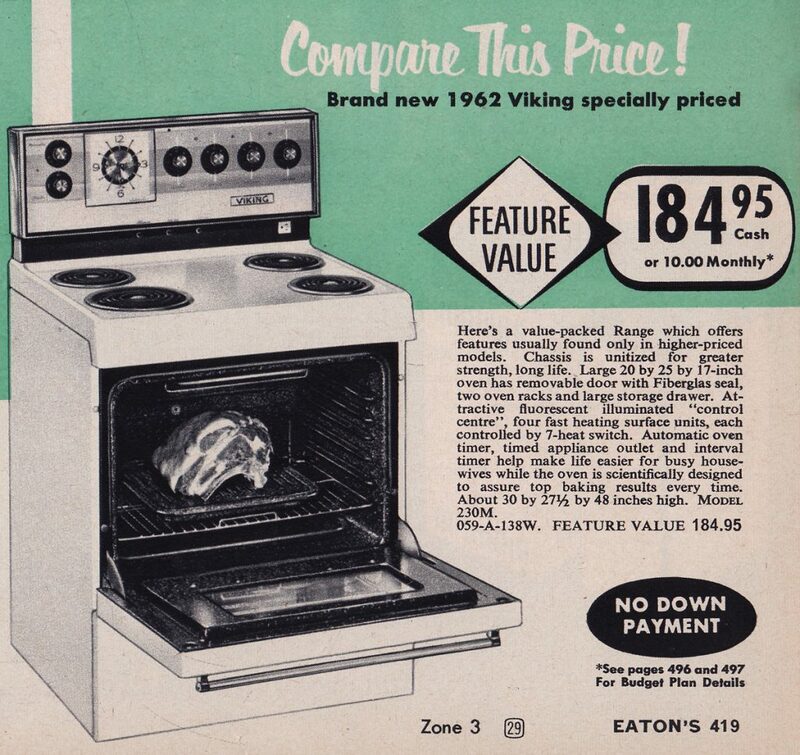 This premium Viking Range went for $184.95 in 1962. That’s $1498.10 in today’s dollar. You could also get a mini-range with just two burners for just $69.95 or $566.60 today. Today we can get kitchen ranges with glass tops. We can get them with stainless steel or black finishing as well as the customary white. And we can get them with self-cleaning ovens. And if you want to get real fancy, you can get induction heating elements. We had one at our last place and it was amazing. Prices vary. You can get them at department stores like Sears or The Bay, but you can also pick them up at big box specialty stores. Sears has 234 different styles of stoves ranging from $547.91 for a Frigidaire brand basic model in white or black to $8159.99 for a Kitchen Aid brand 36 inch deluxe model with six burners running on both natural gas and electricity. The Bay has them ranging from $539.99 for a 30 inch Amana range to $9599.99 for a Kitchen Aid model. It’s exactly the same model that Sears has for $1440 less so it pays to shop around as prices vary greatly. And of course, today we have microwave ovens as well. Although the microwave oven was invented in 1946, it wasn’t commercially available until 1955. But those were large cumbersome models and the modern countertop microwave did not come out until 1967, introduced by Amana Corporation. 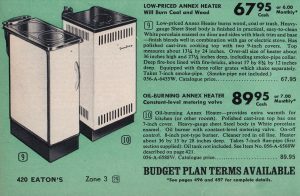 Now while there are one and a third pages of electric ranges in the 1962 Spring and Summer Eaton’s Catalogue, there were in fact, two full pages of wood burning stoves. Yes! Wood burning stoves! The wood burning stove in our featured image at the top of the page is top of the line at $271.50 or $2199.15 in today’s dollar. It’s from Acme. The one below from Huron is $151.50 with a warming closet. That’s $1227.15 today. Both could burn coal as well. My wife’s grandmother lived on a farm in rural Alberta until her 90s when she moved to a care home. She used a wood burning stove from McClary until the day she left the farm. 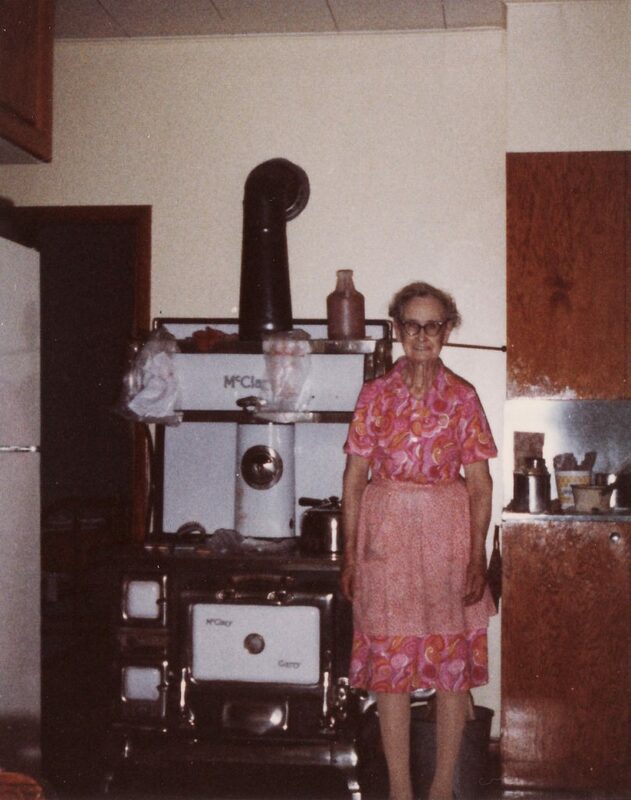 Grandma Jeanie with her McClary wood burning stove. The picture was taken in 1983 when she was 86 and she passed away in 1993 at the age of 96. 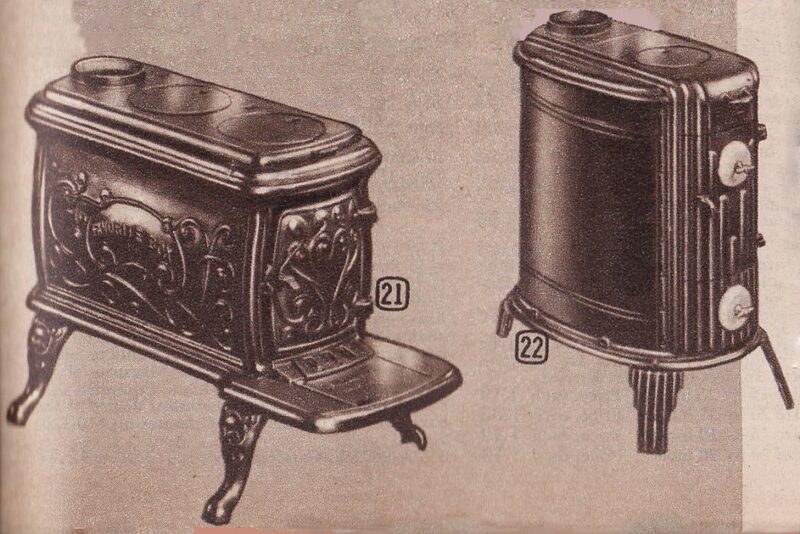 Some wood burning stoves in the Eaton’s catalogue were convertible to oil burning. And if you had a summer kitchen or an annex, you could get a small wood stove to heat it. At $67.95 and $89.95, they would set you back $550.40 and $728.60 today. Or you could get the old box type wood stove. We had one in our basement when we lived in Montreal. You can still get these type of box stoves today as an auxiliary heating source. These two box-style wood stoves sold for $24.75 and $44.50 respectively. That’s $200.48 and $360.45 in today’s dollar. Times certainly have changed in the last 54 years! The full catalogue pages for the products featured here are pages 419, 420, and 421. With my next commentary I’ll be switching to the Summer Sale Catalogue, returning to the Spring and Summer catalogue some time next year. Today large appliances are often sold through specialty stores that sell nothing but appliances. But you can still get most appliances at your local department store as well as at some big box stores. 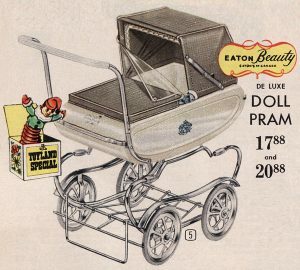 Back in 1962, Eaton’s was known as Canada’s Department Store. 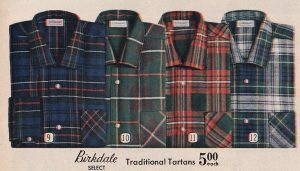 It had a presence coast to coast, not just with its stores in large cities, but also through its catalogues. Eaton’s was a pioneer in mail order to rural communities. And it sold just about everything – yes – even the kitchen sink! 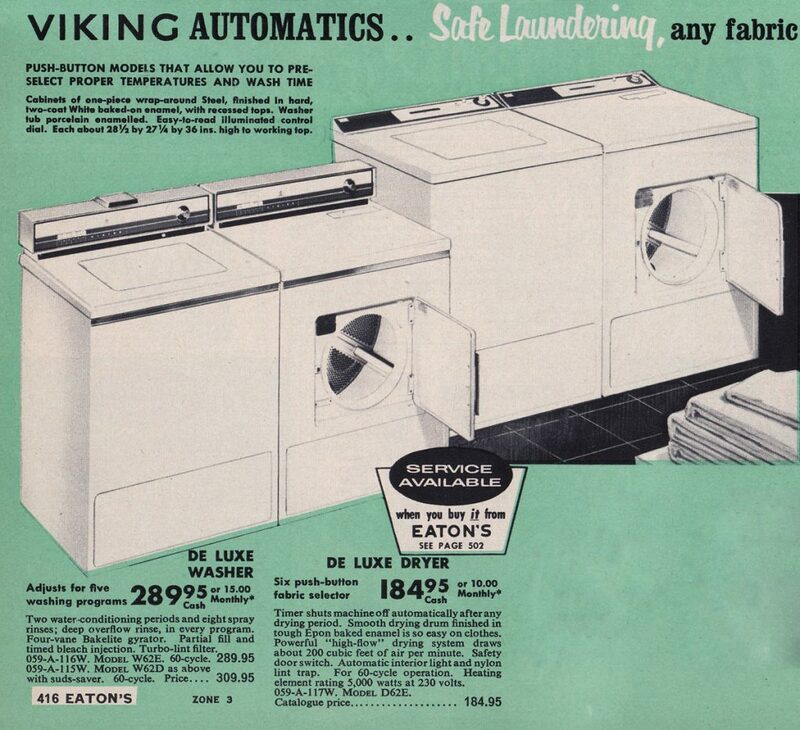 I remember in 1962 we had a fairly modern washer and dryer, possibly purchased at Eaton’s. We lived in a suburb of Montreal at the time. Our machines looked something like the ones below. The deluxe washer and dryer on the left, at $289.95 and $184.95 respectively, would cost $2339.90 and $1492.55 in today’s dollar. Cheaper models were also listed at $219.95 for the washer and $164.95 for the dryer. That’s $1774.99 and $1331.15 respectively. 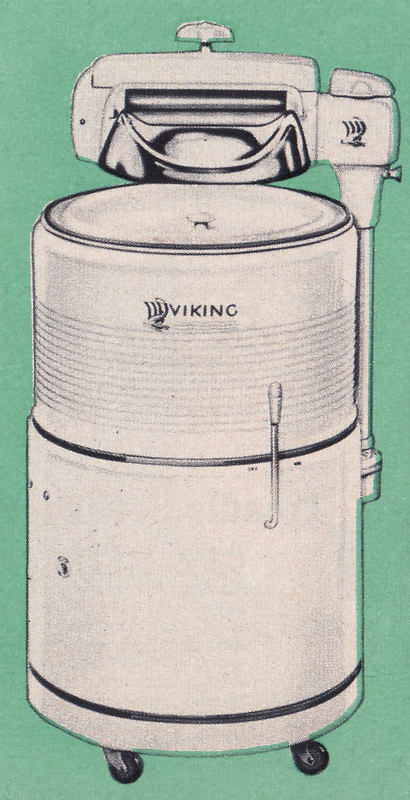 All were Viking Brand – Eaton’s in-house brand. Today washers at the Bay go for $849.99 for a Maytag model (currently on sale for $699.99) to $2049.99 for a high end Bosch. Sears has them starting at $449.99 for a Kenmore (Sears’ House Brand) to $2319.99 for a large LG model. But that one is a combination washer/dryer so you don’t have to buy a separate dryer. The highest priced stand alone washer at Sears is $1697.91. 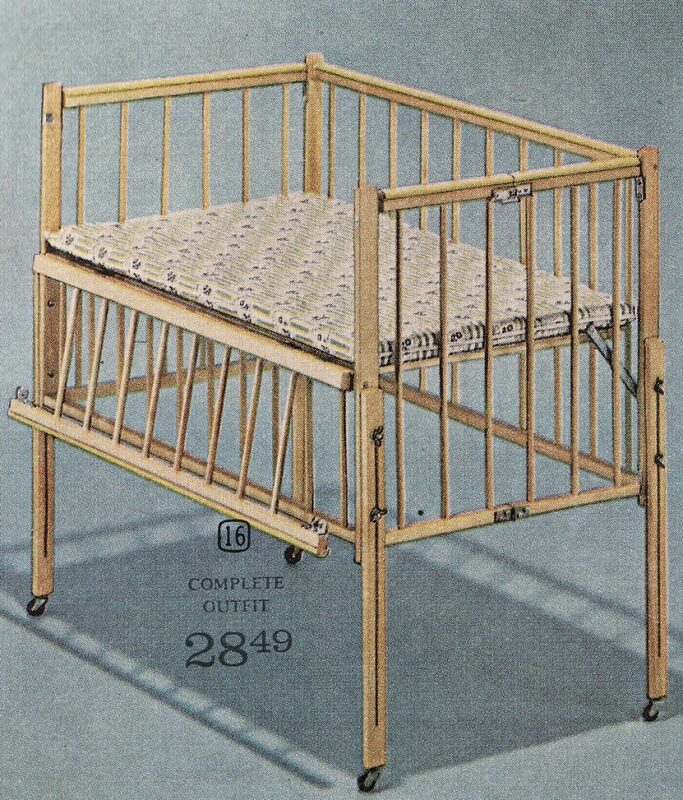 That model is less than the cheapest one at Eaton’s in 1962. 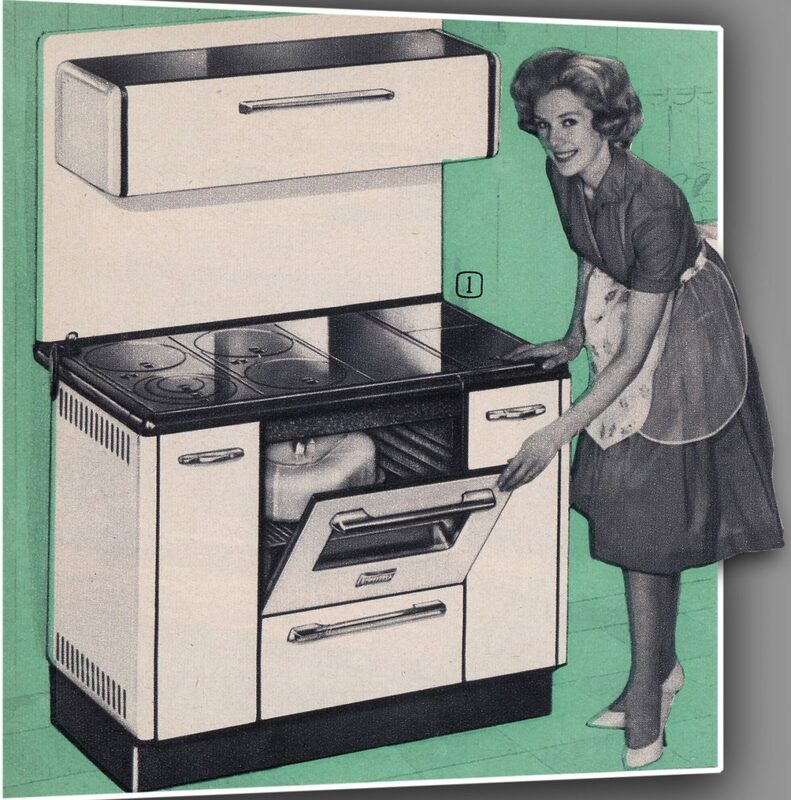 The low cost Kenmore is less than a third of the price of the budget model of 1962. Dryers ranger from $749.99 (currently on sale for $599.99) and up at the Bay and $349.99 and up at Sears. 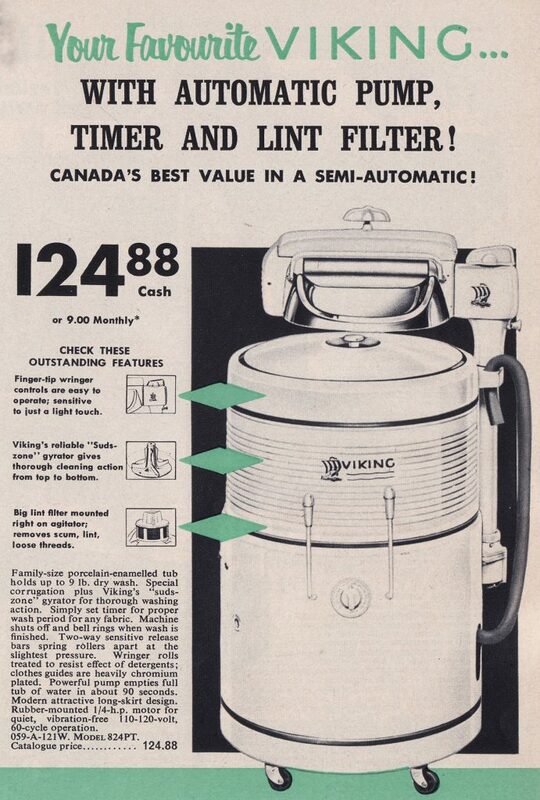 The budget dryer is almost a quarter of the price of the 1962 model. But those are the modern style washers and dryers. 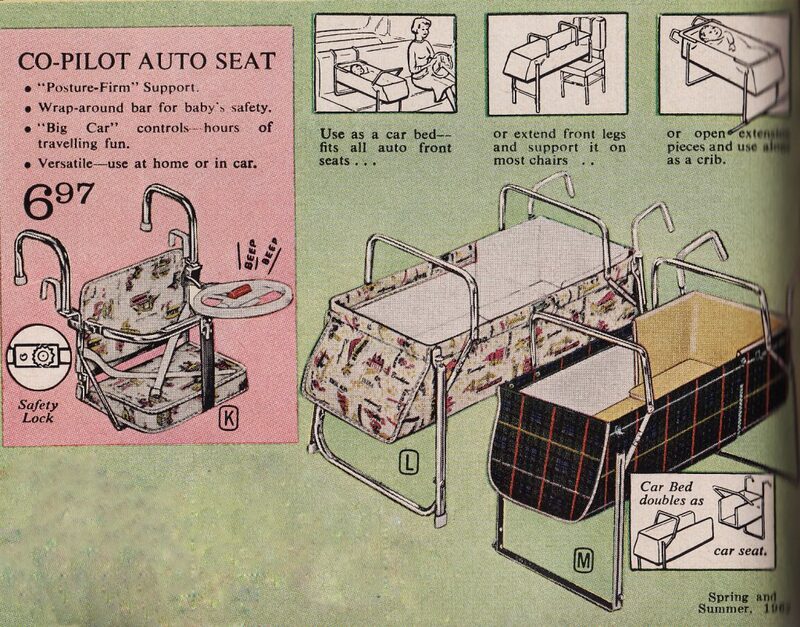 The Eaton’s 1962 Spring and Summer Catalogue featured just those four items – a half page in the catalogue. The styles shown below took up a full page! Yes! 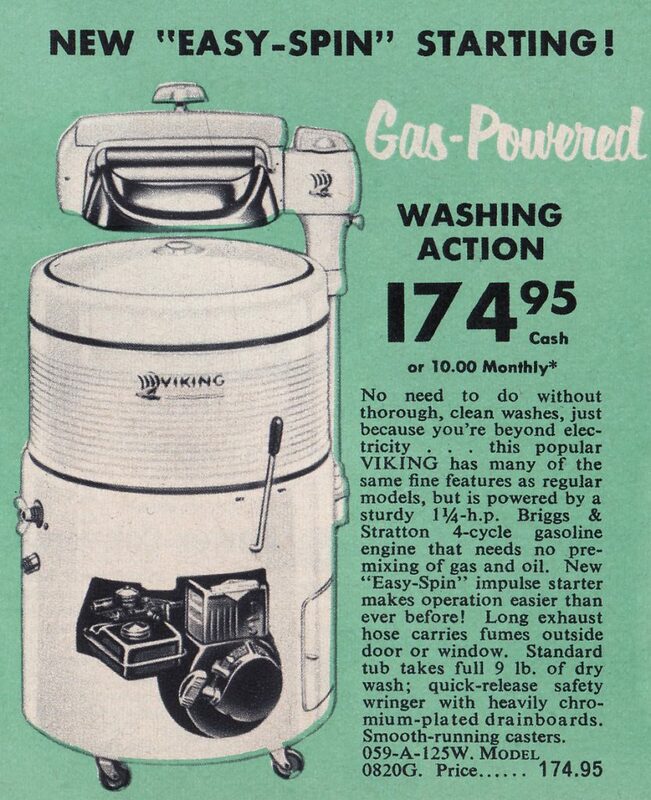 There were more of the old barrel washers with wringers in the catalogue than the modern style. What’s a wringer you ask, you young whippersnapper! Well back in the day, and I remember my mom used one before we moved to Quebec, washers had two rollers on top. You would pass the washed clothes through these rollers to squish out as much water as possible before hanging them on a clothesline. This model sold for $124.88 or $1007.78 in today’s dollar. The model below, with a square basin, sold for $142.95 or $1153.61 today. 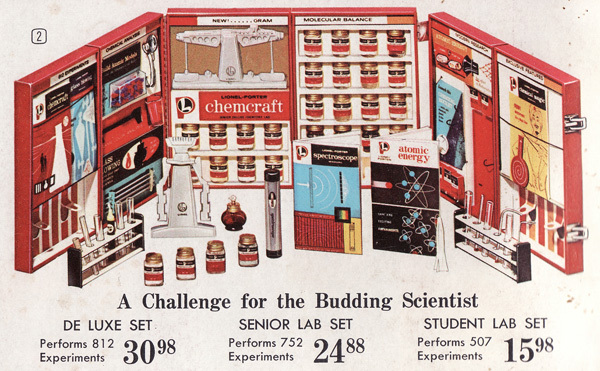 And…remember this was the prairie edition of the catalogue and it was likely that some rural homes did not, in fact, have electricity, so they also had a gas powered model running on a 1¼ h.p. Briggs & Stratton gasoline engine. It came with a long hose to carry exhaust fumes outside. 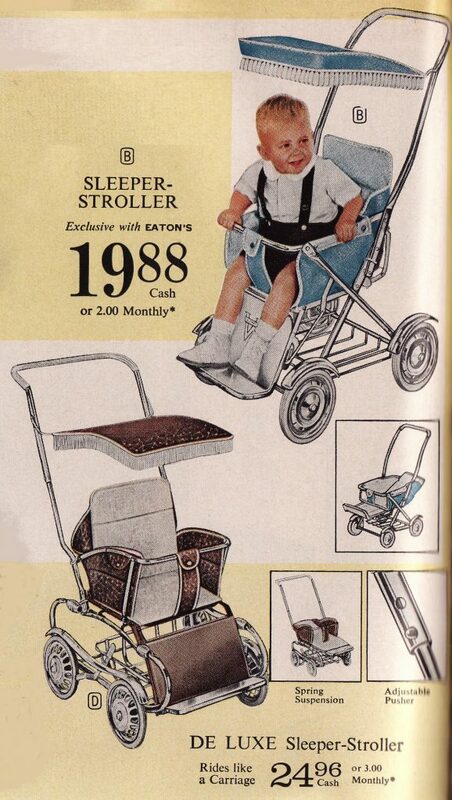 At $174.95, this baby would set you back $1411.85 in today’s dollar! Now the washing machine may seem like a mundane device to most of us leading comfortable lives in modern western societies. But this simple look back at the day when wringer washers were common and much of the work of washday, wringing clothes and hanging them on a clothesline, were unexceptional, should give us pause. I urge you to watch the video below for a fascinating TED talk on just how revolutionary an invention the washing machine really is and what it means to women around the world. And especially what it could mean for the millions of women who are still without this labor-saving device. I welcome feedback and if there is anything specific you want to see, I’ll try and accommodate requests. I am selecting pages I find interesting right now rather than going sequentially. This catalogue starts with 135 pages of women’s fashions, which is a bit daunting to say the least and will need to be broken into smaller categories for sure. If you go to the catalogue pages, you can browse the individual catalogue pages I have scanned already. The items in today’s post come from pages 416 and 417 of the catalogue.